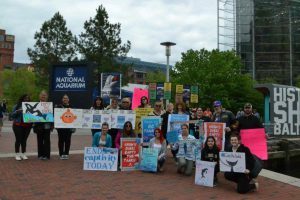 The National Aquarium in Baltimore is going to be the first dolphinarium in North America to build their dolphins a seaside sanctuary. 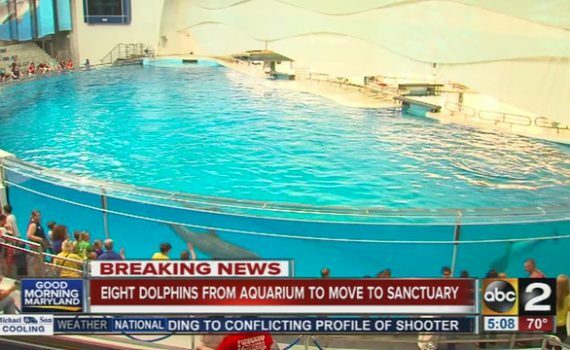 Even though the new sanctuary will not be ready for a few more years, the National Aquarium is already working diligently with their dolphins, preparing them to be transitioned to living in the ocean. 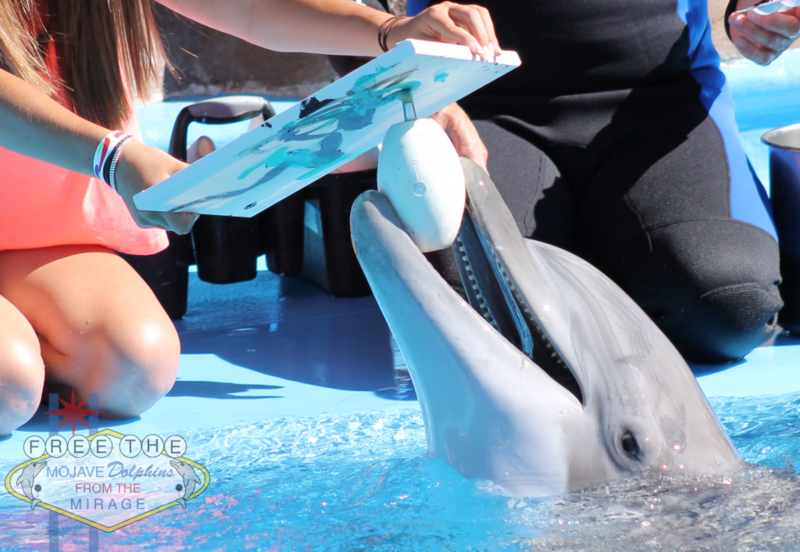 Each dolphin is being treated as an individual, and a customized plan is in place for each of the seven dolphins. 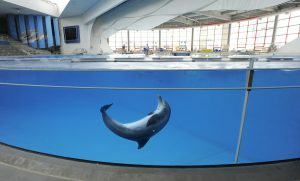 The National Aquarium is also beginning to teach the dolphins how to use a stretcher and to relax in shallow waters with trainers surrounding them so they will be less stressed during transport. Algae has been introduced into the tanks to provide a more natural setting, and to help the dolphins learn to adapt to their new environmentally-rich home. New toys will be introduced to their regimen to allow for problem-solving skills to develop. 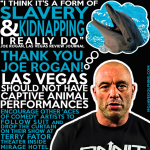 Dolphin captivity has been a failed experiment that has gone on far too long. 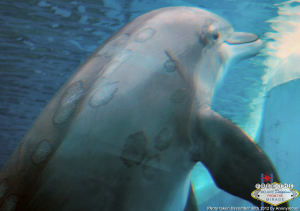 Cetaceans do not thrive in captive swimming pools. 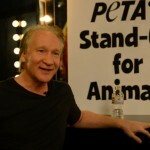 This is the very thing that activists are begging other facilities to do. 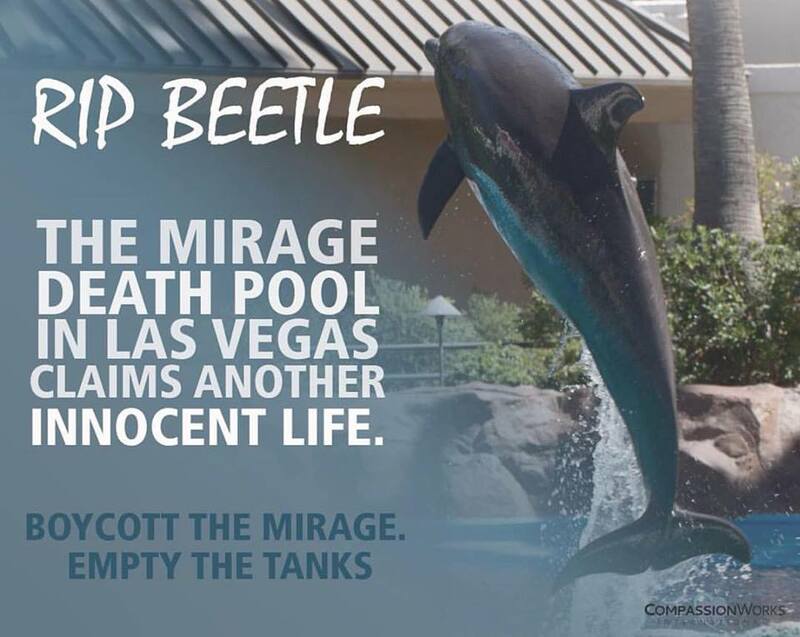 We urge The Mirage to be industry leaders in this new ground-breaking research on cetaceans and follow the National Aquarium by sending the 10 Mojave Dolphins to a seaside sanctuary. 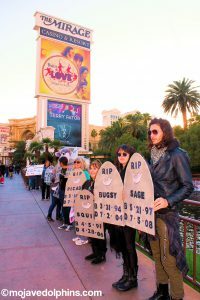 The Las Vegas activist pod will be coming together once again this holiday season to convince tourists that there is nothing cheery about visiting the Mirage Hotel and Casino as long as animals are used as an entertainment attraction. 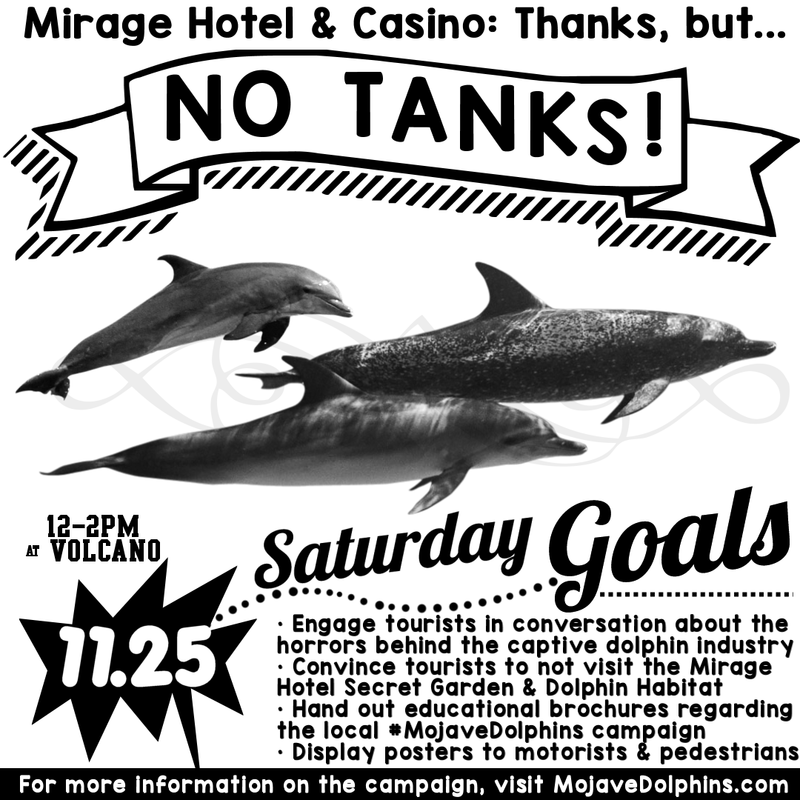 We will be meeting for our 3rd Annual “Thanks but No Tanks!” protest that happens the Saturday following Thanksgiving. 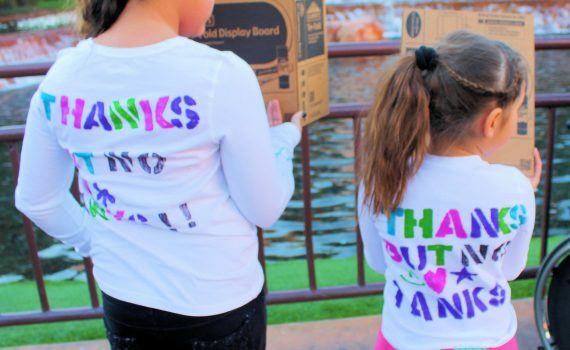 Tourism is slow for our city during Thanksgiving holiday weekend, but Las Vegas is a popular destination for those who are seeking to travel away for the holidays due to cheap hotel rooms. According to the LA Times, it is especially common for Asian tourists from Southern California. 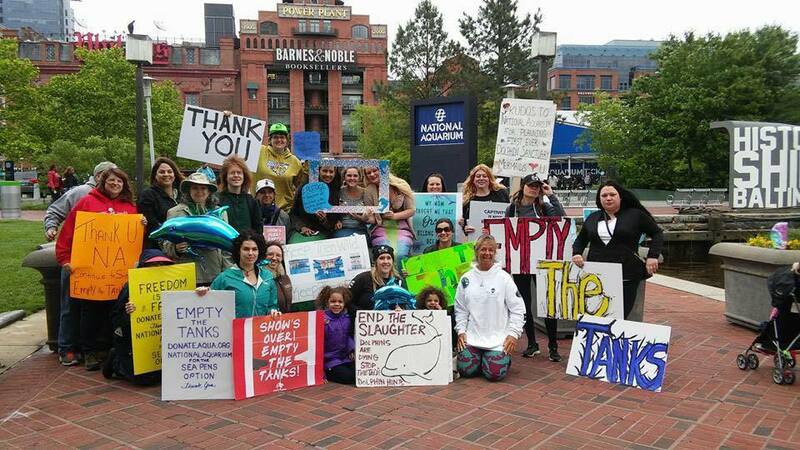 Our goals for this protest are to engage with the tourists and passersby in conversation about the horrors behind the captive dolphin industry and convince them to not purchase a ticket to any facility that holds dolphins. We will be displaying posters to motorists and pedestrians, and handing out educational brochures regarding the local #MojaveDolphins campaign. We are speaking out on behalf of the 13 dolphins that have been documented to have died prematurely within the Mirage Secret Garden and Dolphin Habitat. We are the voices of Beetle, Sgt Pepper, Sage, Squirt, Rascal, Picabo, Banjo, Sigma, Darla, Bugsy, Merlin, and the calves of both Darla and Sigma. 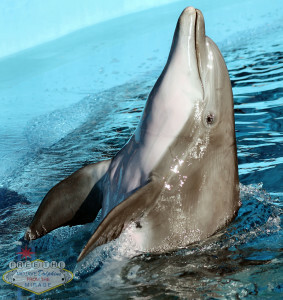 We will continue splashing for Duchess, Lightning, Huf-N-Puf, Maverick, Osbourne, Sophie, Bella, K2, Miramar, and Coco. 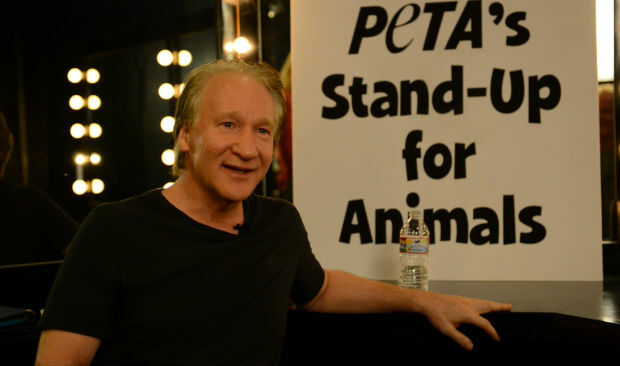 We will never be silent. 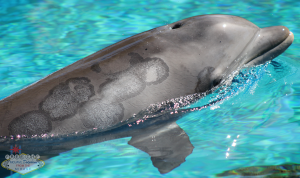 The outbreak of the dolphin pox virus at the Mirage Hotel and Casino in Las Vegas that began more than four years ago may be finally coming to a close. The disease is said to have gotten its start when Cosmo, the male dolphin born at SeaWorld Orlando, was transferred to the Mirage on March 28th 2010. 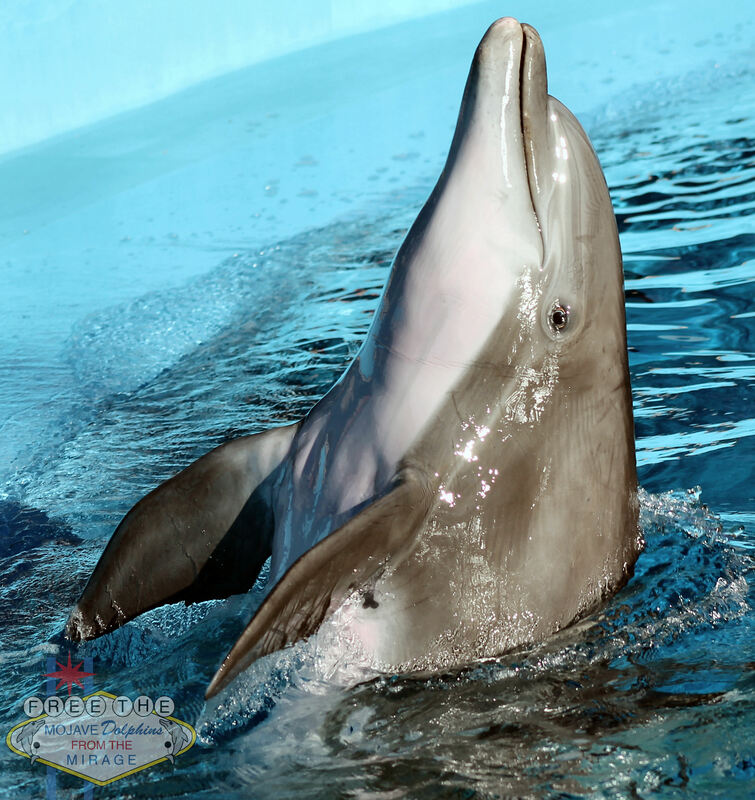 He stayed at the habitat in the desert until December 6th 2013, when he was shipped to San Diego, and eventually to one of the many dolphin prisons in Florida. 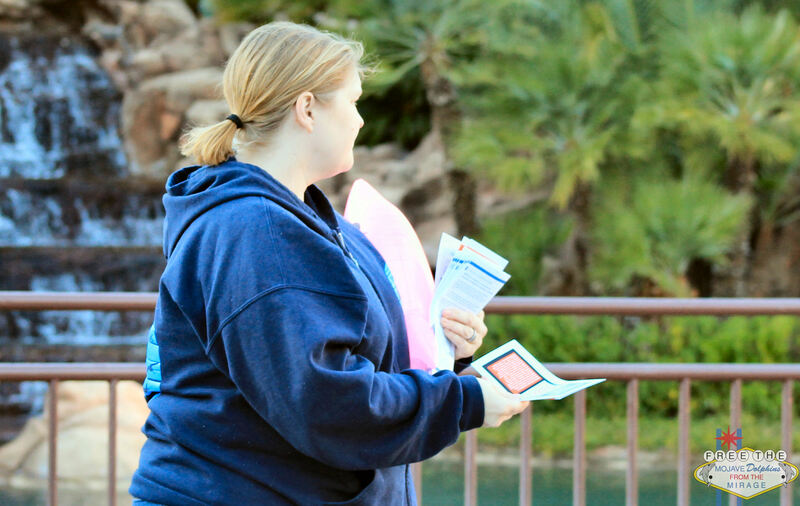 When a Mirage trainer was questioned about Maverick’s condition earlier this month, she responded saying that once Cosmo arrived in San Diego with warmer waters, his virus began to clear up so they applied the same techniques here (Which would mean that the poxvirus should be gone at Seaworld San Diego and Seaworld Orlando…)She also said the Mirage habitat water is currently reading at about 78F. 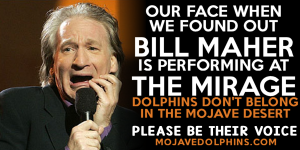 Funny that such a simple solution took more than four years for the vet staff in charge of the dolphins at Mirage (and even longer for the dolphins at Seaworld) to come up with and apply. 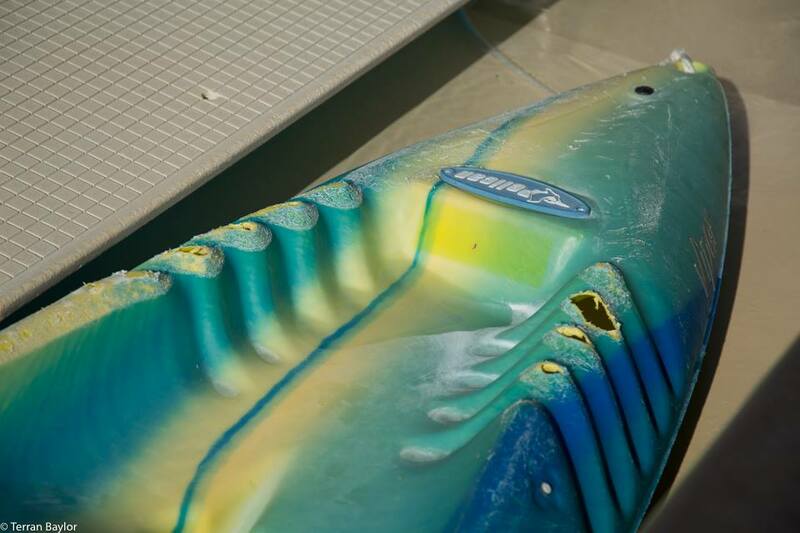 With our limited resources here at MojaveDolphins.Com, we were able to come to the conclusion that water temperature and salinity were the major factors that needed to be looked into. 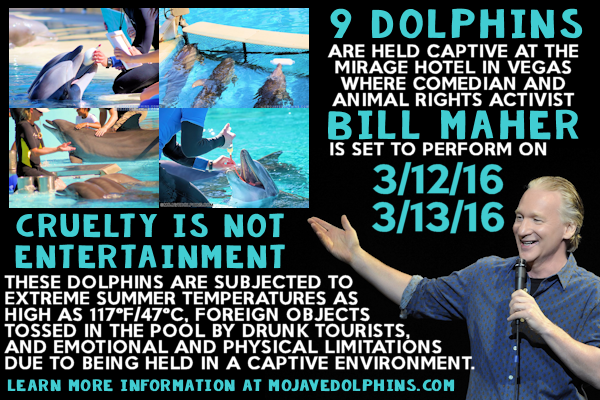 The Mirage dolphin habitat was inspected by the government not one, not two, but FIVE times last year. 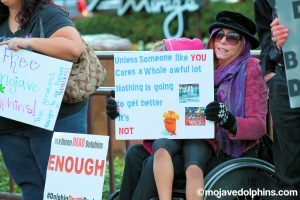 Why is it that the government saw nothing wrong with visually ill dolphins swimming around in tanks with chipped paint and no protection from the harsh environment that is the Mojave desert? The waves are finally starting to roll in the last two years. We have seen an explosion of people joining the fight for cetacean rights. 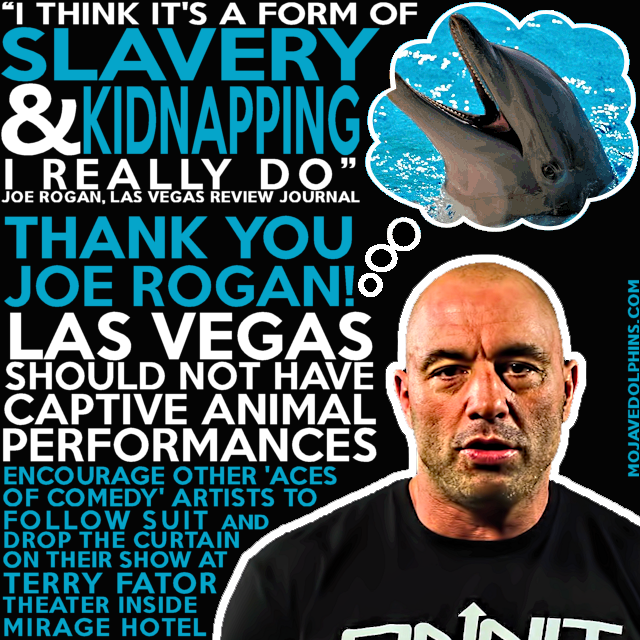 Movies like “The Cove” and “Blackfish” are causing people to see that these sentient mammals deserve our respect. Maverick, and all other dolphins in captivity around the globe, may look happier to the naked eye because they are not covered in lesions, but remember to tell your family and friends that this is not the case. 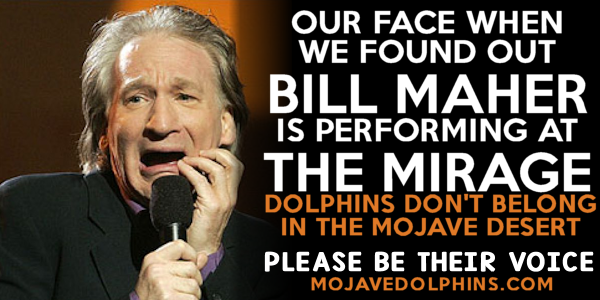 The dolphins at the Mirage do not deserve to live the remainder of their life in a concrete swimming pool in the middle of the desert.